These kids are going to drive you nuts. For most people, owning a supercar is a dream that will never come true. For a select few that dream comes true but requires an incredible amount of hard work and a bit of luck. And then for a small percentage of people, well, they’re just born into the right situation. Today’s CarBuzz Real or Fake focuses on young supercar owners and asks you to figure out which of these four stories is phony. As always, no cheating via Google and be sure to leave your best guess in the comments. The answer will be at the end. Being the son of one of Silicon Valley’s most prolific venture capitalists has many advantages. Jeremy Draper, son of Tim Draper, has certainly taken advantage of his head start in life, filling his family’s garage up with supercars at the ripe old age of 17. Jeremy was one of the first in the Bay Area to score a Tesla Model S but we wonder how he had room for it alongside his Lamborghini Aventador, Mercedes-AMG GT and Koenigsegg Agera (among others). It’s easy to trash this kid for being spoiled but anyone who owns a Ferrari Testarossa is OK in our book. 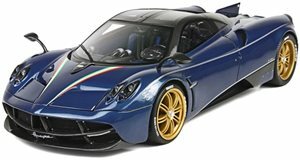 Yeah, a 17-year-old with a Ferrari is cool but you know what’s better: a 15-year-old with a Pagani Huayra. This Geneva Yellow II Huayra lives somewhere in Taiwan and was a gift from a father to his teenage son. Unfortunately dad decided to keep the car in Italy until the kid turned 17, but we can think of worse fates than having to wait two years to take delivery of a Huayra. The only question left to ask is: What does dad drive? Many kids get into cars because their dads spend hours in the driveway wrenching away. Some luckier kids get into cars because their dads take them to track days or NASCAR events. One 12-year-old hit the jackpot, with his father buying him a McLaren 650S so that he could race alongside pop’s Ford GT. Most parents would just let their kid ride shotgun or buy them a Hot Wheels set to shut them up. What a power move. 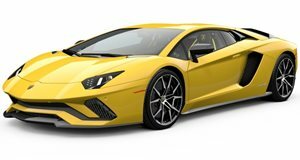 Pop quiz: How old was the first Saudi Lamborghini Aventador owner? If you said 21 then you are correct! Dhiaa Al-Essa paid a premium to get the country’s first Aventador, and that was after dropping over $12 million on a collection consisting of Porsches, Ferraris, Mercedes, etc… Saudi Arabia is a country all about status, and we’re shocked that a kid was able to get one over on all of the country’s car-crazy businessman and royal family members. Hopefully he didn’t take his new supercar out for the moment it was delivered. If you guessed that there’s no way a 15-year-old could own a Huayra . Taiwanese teens do have all the fun. You were sorely mistaken if you thought there was no way a Dhiaa Al-Essa was Saudi Arabia’s first Aventador owner. an extra $71,000 too! That leaves the 12-year-old McLaren owner and the Silicon Valley supercar kid. While Tim Draper is a real person who really wanted to make California , his “son” Jeremy is not. Steven Aghakhani, son of badass dad Amrik Aghakhani, is really real McLaren 650S. As always, thanks for playing!